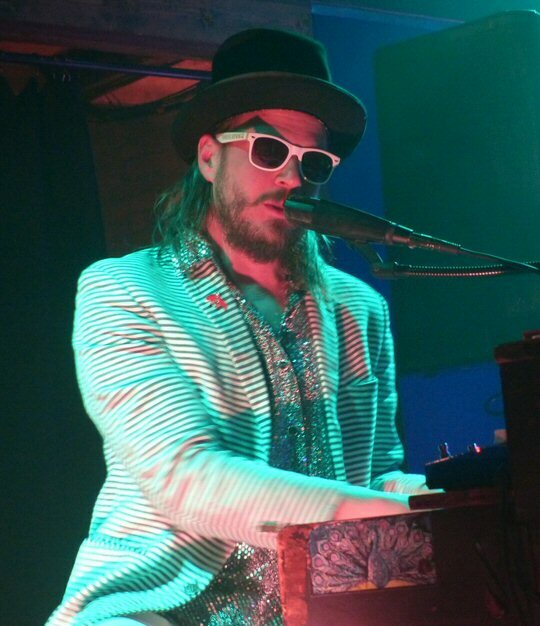 Musician Marco Benevento presented a high energy show at The High Watt in Nashville, Tennessee on Saturday, February 03, 2018. Marco is popular in the jam band scene and sure enough there were a number of his fans clad in tie-dies. The open floor plan at The High Watt was crowded but still allowed space for folks to dance - and dance they did. Marco Benevento is a multi-instrumentalist, pianist, record producer and songwriter who has been a member of the New York experimental rock and jazz scene since the late 1990's. 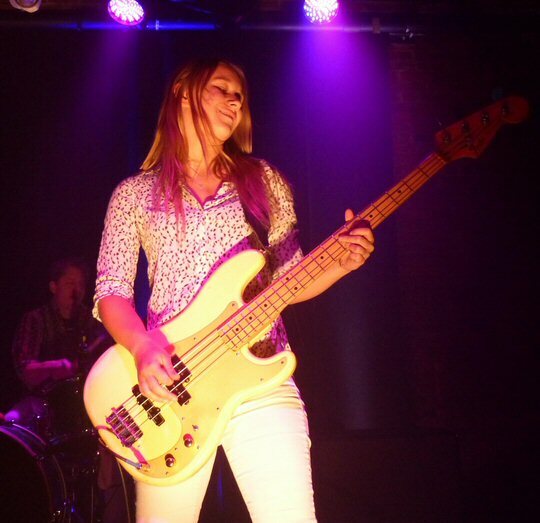 Benevento graduated from the Berklee College of Music in 1999. He has studied and performed with a wide array of artists. Marco is the founder and engineer of Fred Short, a recording studio in Upstate New York. Marco also has a bunch of collaborations and original compositions to his credit. He is well-respected in many circles including indie, jam and jazz. Marco is known for his innovative styles that not only include keyboards and organ but other tools such as circuit bent toys and a glockenspiel. "Greenpoint" from the Between the Needles and Nightfall album was a complex colorful composition with swells and slowdowns swirling in a spacy aura. Next, the talented trio presented an animated cover of "Heartbeats" by the Swedish electronic music duo The Knife. A number of Nashville guests added guitar and vocals to Marco's muse. The energy of the show continued to expand as Karina was bouncing to her own good grooves with the audience following suit. 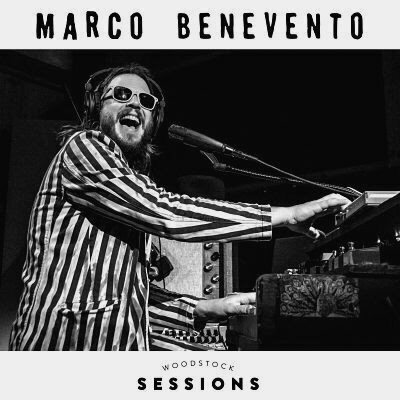 As mentioned, Marco Benevento is touring in support of his latest release the Woodstock Sessions. The track-listing spans Benevento's entire catalog. On the album Marco with Karina Rykman and Andy Borger perform the entire 22-minute "The Story of Fred Short" suite from the studio album of the same name. Other highlights of the live record include "At The Show" (Swift). If you missed Marco in Nashville this past week, you're in luck as the band will be back at The High Watt for their special Saturday to Saturday bookend residency in Music City. Plan accordingly as on February 10, 2018 there will be more quirky, pleasing and pulsating prose from the great showman Benevento and Co. Opening for Marco was the mellow and moody Good Buddy from Nashville. The High Watt continues to presents a broad range of artists such as Marco Benevento. It is part of the Cannery Row complex which is home to a number of concert halls and even a church. "Built in 1883, the Cannery was originally a flour mill and later a place to grind coffee. The building earned its name when the Dale Food company bought it in 1957 and began processing food (jams, jellies, mustard, mayonnaise, peanut butter, etc.) eventually opening a restaurant called "The Cannery" in the early 1970s. The building housed a country music theatre in the late 70s and evolved into one of Nashville's primary music venues in the 80s and early 90s. Jimmy Cliff, Janes Addiction, Iggy Pop, Lenny Kravitz, Midnight Oil, Greg Allman, Robin Trower among other touring acts of the time played the Cannery."